Storey Publishing, LLC, 9781612125596, 158pp. Beautifully decorated cookies are within reach for every home baker, thanks to the easy and practical methods developed by cookie-crafting enthusiasts Valerie Peterson and Janice Fryer. From rolling and cutting to flooding and piping, you’ll find dozens of techniques to turn plain cookies into fun treats for your next special occasion. 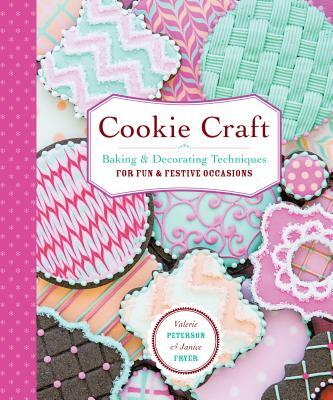 With instructions for making stand-up cookies, tips on creating icing color palettes, and advice on freezing and shipping, the cookie fun never stops! "[The] cookies in this book whet the reader’s appetite . . . its tone is one of a helpful friend rather than stern directives."